The "Big battle for France" or "Kaiserschlacht" was accompanied by a complex artillery fire plan. 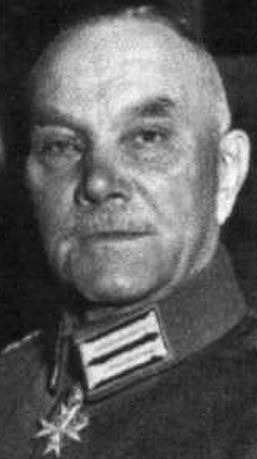 Right: Lt. Col. Georg "Durch" Bruchmüller and his staff planned the Artillery bombardment and barrage. A simplified description follows. The bombardment that started on the morning of the 21st March 1918 was the heaviest and most complex seen in the war so far. The British 3rd and 5th armies, spread along a front of approximately eighty kilometres, were to be hit with the full force of 6000 guns (of which more than 2500 were "heavy" or "super heavy"). Oberstleutnant Georg Bruchmüller and his small staff had composed a symphony of death that would paralyse lines of communication, stun the infantry and impede the artillery. 4.40 am. The first phase of the bombardment begins with a crash and lasts for two hours. The artillery fire plan consists of general surprise fire on enemy batteries, trench mortars, command posts, telephone exchanges, billets and bivouacs. All batteries and trench mortars take part in this phase firing a mix of gas and high explosive shells. After twenty minutes the trench mortars cease fire. At 5.30 am, ten minutes of surprise fire is directed at the infantry positions, all batteries - except the super heavy - unleash a storm of high explosive fire against the British First and Intermediate positions, while simultaneously both lethal and lachrymatory gas shells are fired against the British Second position. During these ten minutes no counter-battery fire takes place. 7.10 am. The Fifth Phase lasts seventy minutes. While heavy and super heavy batteries continue to fire counter-battery fire, the other batteries bombard the infantry defences for effect. The bombardment areas had all been previously defined on map by Bruchmüller and assigned to batteries as part of the fire-plan. After thirty minutes fire, some howitzers in each group sweep the ground between the trenches of the First position for fifteen minutes. Other howitzers shell designated areas of resistance for ten minutes, and then sweep backwards. Field guns sweep the ground between the Second and Intermediate Positions for ten minutes with a mix of lachrymatory gas and high explosive shells. 8.20 am. The Sixth Phase starts and lasts seventy-five minutes. The fire-plan for this phase is similar to that of the Fifth Phase but with a slight variation of targets for the long range batteries. After thirty minutes fire the same special bombardments as in the Fifth Phase are repeated, also with a slight variation of targets. 9.35 am. The Seventh Phase begins five minutes before Zero hour for the attack. All howitzers lay down fire as near to the front line of the First Position as possible without endangering their own infantry. Trench mortars (light and medium) and field artillery join in this bombardment, the field artillery fire only high explosive shells. The super heavy guns, flanking batteries and heavy trench mortars fire on the second line of the First Position. Other long range batteries (other than flanking batteries) - and some batteries not used in the creeping barrage - fire on the Second Position, while others continue counter-battery fire. At the end of this period the infantry would launch their assault without the usual “Hurrahs”. The creeping barrage (fired in principle by the field artillery, 5.9 inch howitzers and light trench mortars) proceeds by deep bounds; the first bound is 300 metres. The subsequent bounds set by the fire-plan are; 200 metres for field artillery and 400 metres for heavy artillery. After the first bound the field artillery hold their fire for three minutes and the heavy artillery for two, from the second bound they hold their fire for four and eight minutes respectively. Also included as part of the fire-plan are pre-arranged signals with green rockets or small flame projectors that can be used to advance the barrage by a 200 metre bound - there were no signals arranged for halting the barrage.